The world lost Thayer David on this day in 1978 at the age of 51. David was the utility infielder for DARK SHADOWS, dealing easily with any job thrown at him. The Winchester, Massachusetts native played more roles on the show than any other actor. On July 17, 1970, he taped an episode of DS that took place in a future he'd never see: 1995. "It makes an episode like this incredibly poignant, showing the actor at an “old age” (68) that he never reached, Patrick McCray recalls in The Dark Shadows Daybook episode installment for #1065. "Anyone familiar with the daybook knows that Mr. David is the real star of the show and this column. A touch of that is camp, but it’s a sincere camp, sincerely inspired. Chris Pennock considered David to perhaps be the program’s finest actor." You can read the entire piece HERE. Speaking of Christoper Pennock, he might be the only man on the internet that hates Donald Trump more than me. In between his (totally on-point) rants about Orange Twitler he let slip an important detail: he's going to be part of the cast of the upcoming DARK SHADOWS: BLOODLINE. Who's he playing? I don't know! But if you've heard his recent appearances in the Big Finish audios it's not difficult to make an educated guess. You can bask in his righteous rage at @ButtockPennock. 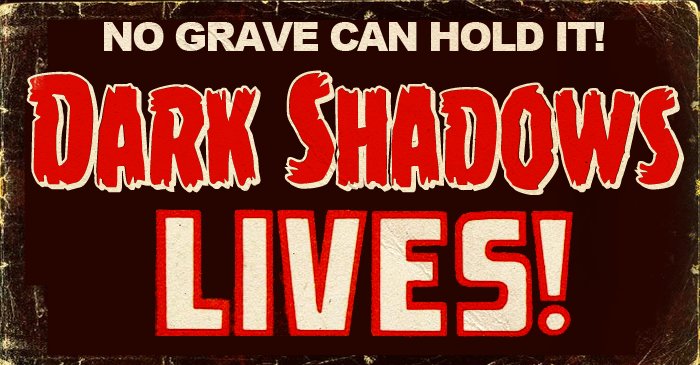 Dark Shadows Every Day arrives at Episode 1149, described by blogger Danny Horne as the climax of the epic tragedy of Barnabas Collins and Roxanne Drew. "He’s followed her through three layers of paradox to arrive at this choice slice of cliffhanging: the zenith of all his mistakes, piled up on top of each other and ready to topple." Read today's installment HERE. 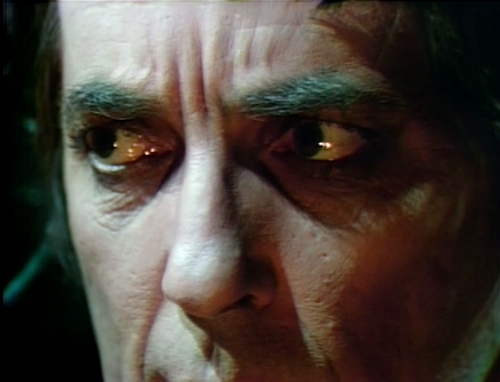 Dark Shadows Before I Die reaches one of the many peaks in the Barnabas/Julia/Angelique/FILL IN THE BLANK love quadrangle with episode 537. Abstract: "Julia's feelings have been on the table, the wall, the floor...pretty much everywhere for a long time. I loved her comeback when Cassandra accused her of being in love with Barnabas." Read it all HERE. Of all my fake internet friends, @lunettarose is among my favorites. She's a smart, funny and talented artist who also reached a sort of milestone today with DARK SHADOWS. Below is the first tweet in a thread that's worth reading. Today is a special day for me. It’s my #DarkShadows anniversary. 2 years ago I was living with my mother, brother and sister, while my mum was trying to sell her house. It was a stressful time for many reasons, but every evening, we’d all come together for a few hours & watch TV. How about some Barnabas Collins pixel art? I sometimes forget that Tim Burton's DARK SHADOWS movie was a thing. (Just kidding. I'm gonna take that grudge with me to the grave.) My monolithic quibbles with the movie aside, it was a gorgeous production ... which is reflected in this "makeup test" by @Fernanda Andrade.